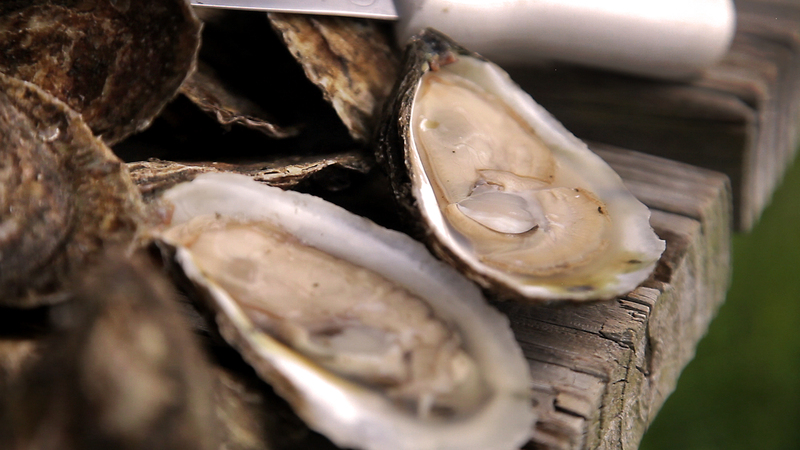 Watch Carolina Mariculture Oysters on PBS. See more from Flavor NC. Cedar Island native Jay Styron and his wife Jennifer began oyster farming in Cedar Island Bay in 2006. Their Carolina Mariculture Oyster Company currently produces about forty thousand oysters a year, with plans to quadruple production in the coming months. Their oysters are available direct to the public and in restaurants in the Beaufort area and the triangle. The 42nd Street Oyster Bar and Seafood Grill in Raleigh has been serving seafood lovers fresh seafood since 1931. The restaurant opened in its current location in 1987 and since then has served more than 80 million oysters and shrimp and more than 21 million hush puppies. The restaurant is open for dinner seven days a week. Find out more on the web at www.42ndstoysterbar.com.